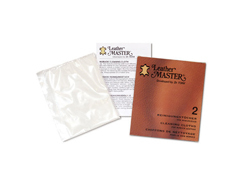 Leather Master Wax on Revitalizer and Cleaner Kit for Waxed Pull-Up leathers. 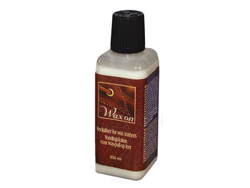 Wax is often applied to the surface to achieve a particular feel or effect. 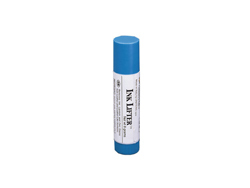 It often looks like crinkled wax paper. 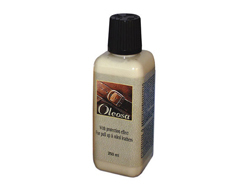 Leather Master Wax on replaces the wax from the surface as it wears off. 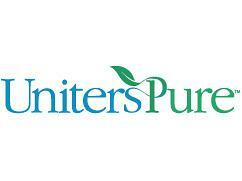 Often a center of a seat cushion looks lighter or there are fingernail marks that won’t rub out. This is from the wax coming off. Application of Wax on will solve this challenge. 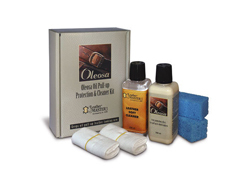 Wax on gives the wax pull-up leather the fats and nutrients that it needs in order to retain its suppleness and its beautiful lustre. 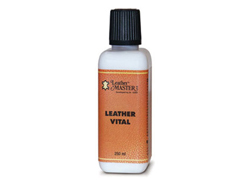 Leather Master Leather Soft Cleaner guarantees efficient but gentle cleaning.